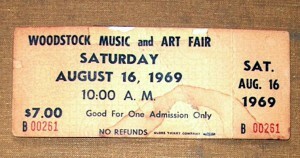 I kept both my tickets for the Woodstock Music and Art Fair. The water stain is from Sunday’s downpour. 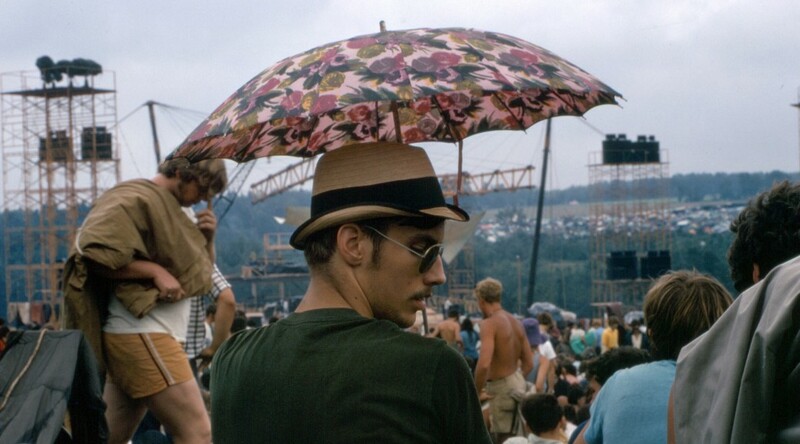 I am a retired high school educator and attended two days of the Woodstock Music and Art Fair in 1969. When I first visited Bethel Woods Center for the Arts in 2008 I was a little disappointed. As a Woodstock alum, I wanted to see, to experience again all things Woodstock. I began volunteering at the center in 2011 and in 2012 I became a docent there. I didn’t know what the word meant then, but it simply means I have trained to give tours. 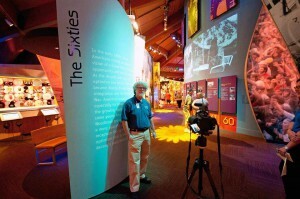 The story of Woodstock tells itself best in context and that’s what the Museum does so well. When you first walk inside the Main Gallery you are “on the field” with 400,000 other attendees in 1969, but as soon as you “turn the corner” it is 1960 and John F Kennedy has just been elected. Before you get back to 1969 you listen to, hear, and read about the many things that created the cultural revolution of the 1960s: music, civil rights, the Vietnam War, politics, feminism, LGBT issues, Black nationalism, sports, technology, the space race, the arms race, and much more. The Museum’s docents meet regularly to discuss how to improve our tours and the information we provide. I volunteered to give a talk on “protest music.” I thought it would be easy, but before I realized it I was delving deep in history finding that protest music, like Woodstock, is best understood in context. That’s what this site tries to do. Put the activism of the 1960s in context with what preceded it and what has followed it.